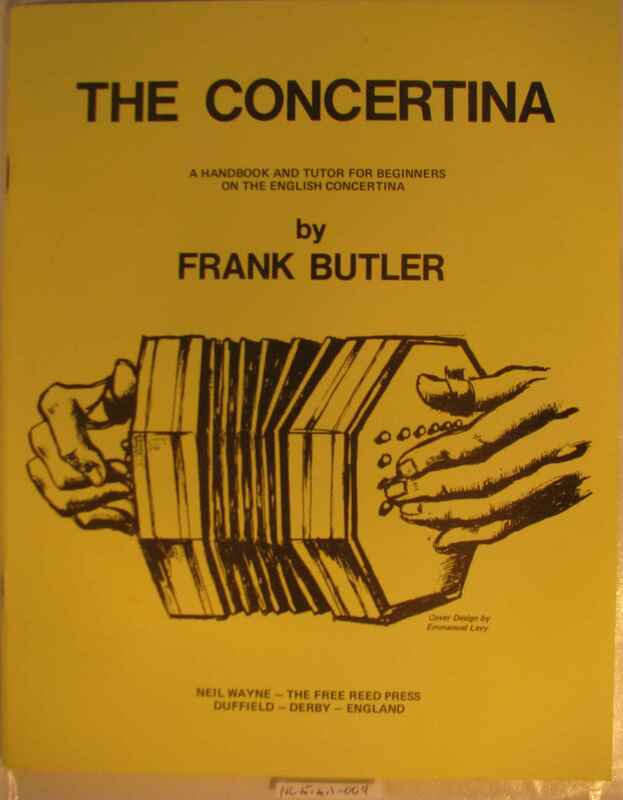 Full Description: ‘English’ Concertina Tutor: Two copies of “The Concertina; A handbook and Tutor for beginners on the English Concertina”by Frank Butler. 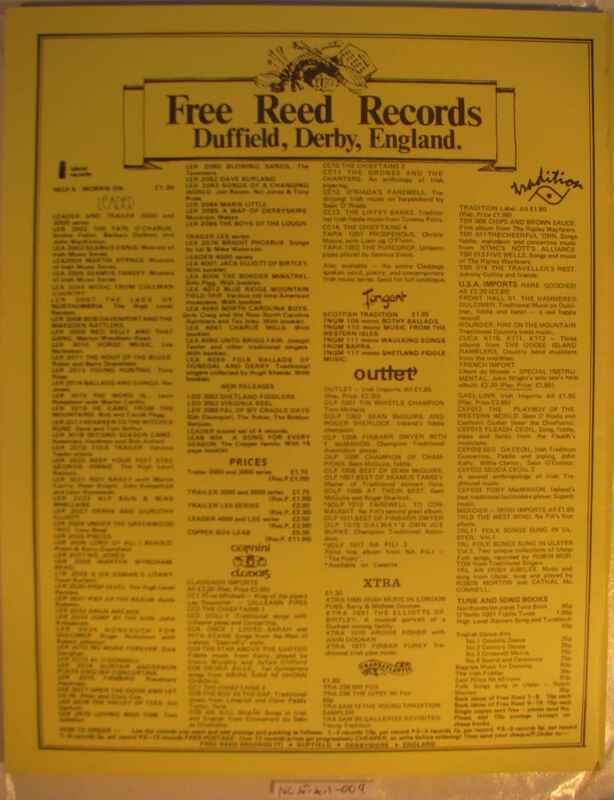 Published by Neil Wayne at The Free Reed Press, Duffield, Derby, England, in 1974. This is arguably one of the best beginners’ tutors ever written, by one of the great movers and shakers of the continuing revival of the concertina in the years after WWII. He was a founder of the International Concertina Association, a noted teacher, and his encouragement of Neil Wayne’s interest in the instrument during the mid ’60s arguably led to the folk-based concertina revival in the 1960s, and to certain large collections of concertinas and related materials being preserved for posterity. Later 1976 Oak edition at Item NC.5.4.1-010 . A .pdf download of this edition is available at: www.concertina.com/butler/butler-the-concertina-tutor.pdf .